Professionals and hobbyists are thrilled by the features of this amazing product. It is very pliable in its mixed form, has excellent adhesion, cleans up easily with soap and water, and will cure to a hard, solid finish that can be painted, sanded or ground. 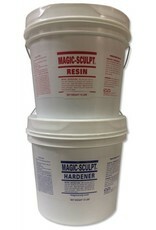 Magic-Sculpt serves so many purposes it eliminates many of the different formulas cluttering your workspace. And, with its indefinite shelf life, you do not need to worry about whether you have enough of this or that, just keep a stock of Magic-Sculpt sitting on your countertop. 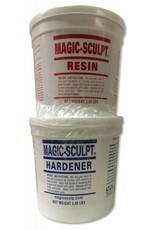 Magic-Sculpt is a two part epoxy putty that comes in two containers, (as seen above) one resin and one hardener. 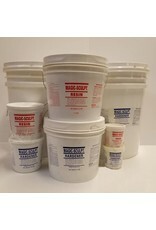 Magic-Sculpt is mixed 1 to 1 by volume in small quantities as you need it. Almost anything can be used as an armature, such as; armature wire, metal mesh, styrofoam, wood and balled up tin foil. 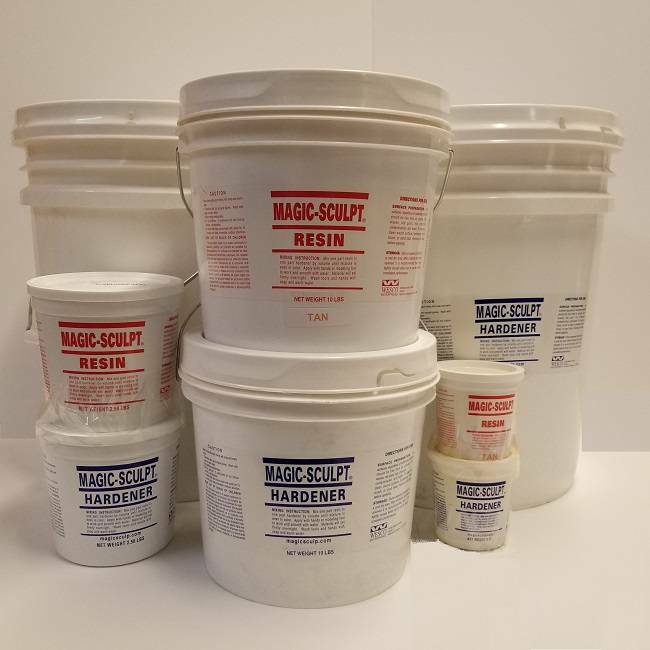 Once you have completely mixed the two components, you have about 45min to 1hr of working time (depending on the temperature in your workspace, cold = longer working time, hot = shorter working time) Magic-Sculpt will cure fully overnight to a rock hard finish that is easily painted. Dip your hands in water while mixing if the Magic-Sculpt becomes sticky. Wash hands between mixes to keep it from sticking to your hands. Gloves are not necessary but will keep the Magic-Sculpt from underneath your fingernails and cut out fingerprints on finished works. 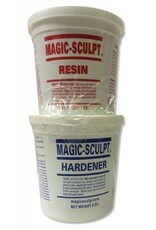 The surface of your Magic-Sculpt sculpture can be smoothed with water before it cures. Our favorite sculpting tool for Magic-Sculpt are Clayshapers. Nothing sticks to these silicone tipped sculpting tools making them great for use with this sculpting epoxy. See also Magic-Smooth - a two part epoxy gel. It does not dissolve foam, making it a great foam coat! It also is a great material for adding texture or as an adhesive to many materials.